Five years out from the initial launch of the PlayStation 4, it’s time to start digging for rumors about its successor — Sony’s inevitable PlayStation 5. Although the 2016 and 2017 release of intra-generational upgrades with the PlayStation 4 Pro and the Xbox One X led many to speculate that the age of discrete console generations might be coming to an end (or at least slowing down), Sony is indeed working on a full-fledged PS5. We’ve rounded up all the rumors and confirmed details floating around about the new PS5, so you can judge for yourself. We don’t know the official name of Sony’s next-generation gaming console but we do know that Sony is actively working on it right now. In an interview with the Financial Times, CEO Kenichiro Yoshida confirmed that it is “necessary to have next-generation hardware.” The same Financial Times report also said it wouldn’t be radically different in design than the PlayStation 4. This falls in line with what system architect Mark Cerny told Wired during an April 2019 interview. Cerny revealed that the systems would be based on the PlayStation 4’s internals — in part, anyway. But as you’ll see below, the system will get an enormous upgrade in power. The PlayStation 5 will be using AMD chips, as Mark Cerny explained in his interview with Wired. The CPU will be an eight-core chip based on AMD’s Ryzen line, and will use the “7nm Zen 2 microarchitecture,” while the GPU will be based on the Radeon Navi line. The latter will support ray tracing, which is primarily found on very powerful PCs at the moments, and the CPU will open up the door for better 3D audio. The PS5 will also be ditching a hard drive in favor of an SSD with a higher bandwidth than those used in current PCs, and it will support physical media. The PS5 will be backward compatible with at least PlayStation 4 games. Mark Cerny confirmed this information during his interview with Wired, citing the systems’ similar architecture as making the process possible after the PS4 and PS3 could not do so. This extends to PlayStation VR, as well. No information on a potential PlayStation VR 2 has been released, but the PS5 will support the current headset. This would mean that rather than keep your PS4 and PS5 on your shelf, you could likely get rid of the earlier system entirely. Sony is obviously thinking about and working on the future and according to this information, we may possibly see the PlayStation 5 get a release date in 2021. On the contrary, Industry Analyst Michael Pachter believes the console could launch earlier. Speaking to GamingBolt in July, Pachter said he believes the console will come in 2020. This could be why Sony announced such a small number of new games during its E3 2018 event, and opted not to attend in 2019 entirely. What we do know, based on the Wired interview, is that the console will not be arrived in 2019. Sony previously announced the PS4 in February 2013 for release later that year, and we predict something similar will happen with the PS5. With no official announcement from Sony about the console, developers are remaining tight-lipped if they do have PS5 devkits in hand. Several have made comments that could be construed as hints that they do, however. 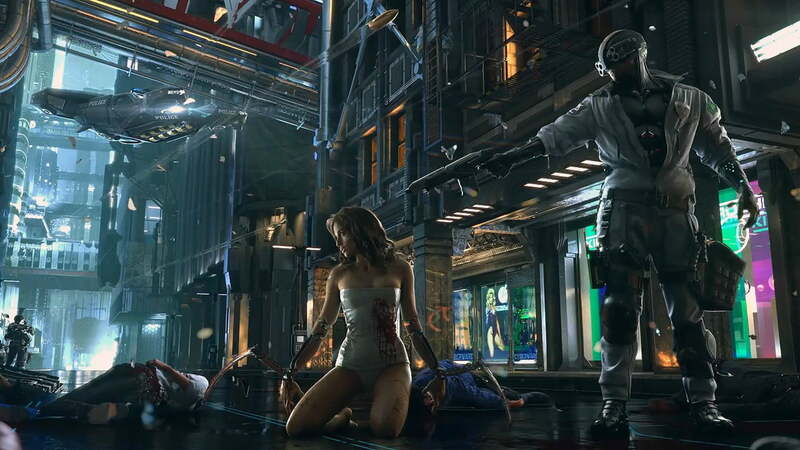 The Witcher 3’s developer, CD Projekt Red, is hard at work on their next epic, Cyberpunk 2077. At a 2018 conference in Bergen, the studio heads gave a presentation about the game which included a slide with the phrase “Rich, true-to-life visuals built on current and next-generation technology.” That could mean a lot of things, of course, but one could interpret that as a nod to the fact that they are simultaneously developing the game for both the current- and next-generation of consoles, of which the PS5 would have to be one. Similarly, Gran Turismo Sport creator Kazunori Yamauchi made a comment that could suggest they are already tinkering with the PS5. On a studio tour, he told Finder.com that new cars take so long to develop because they are “building for future versions of the console rather than the one we see today.” He also mentioned that he thought it “would be no problem to run it at 8K even,” which is well above what the PS4 Pro is capable of putting out. Sony’s own Death Stranding, which is planned for a PlayStation 4 release, could be coming to the PlayStation 5. Speaking to GamingBolt, industry analyst Michael Pachter said the game will “likely be a cross-generational title.” Sony hasn’t done this very often in the past, though a number of third-party games released on both the PlayStation 3 and PlayStation 4 at the beginning of the generation. Given that Death Stranding doesn’t even have a release window yet, it seems like the most likely candidate, and would certainly be a good way for Sony to sell consoles early on. It has also been reported that the majority of Sony’s own internal development teams have shifted their focus to the PlayStation 5. Industry analyst Daniel Ahmad said that “most” of Sony’s teams were now on the unannounced system, and that it was possible that certain games developed for PlayStation 4 could also see a release on PlayStation 5. Bethesda Softworks appears to be one of the game companies most open about its ambition to release upcoming games on next-generation systems. Speaking to Eurogamer at the Gamelab conference in Spain, Bethesda game director Todd Howard revealed that the science-fiction game Starfield will be next-generation in both hardware and software. Given that Bethesda is releasing Starfield before The Elder Scrolls VI, which it also announced at E3 2018, there’s very little doubt that The Elder Scrolls VI will also release on PlayStation 5. Thanks to a LinkedIn listing, it appears Square Enix is currently working on a game for the system, as well. Users at forum ResetEra spotted a 3D character model artist’s profile, which made mention of a “new AAA title for PS5” at Luminous Production — one of the company’s newest studios. This could confirm that the system will be called the PlayStation 5, as well. Game streaming services could replace traditional consoles in the future, at least if you ask Ubisoft CEO Yves Guillemot. Speaking to Variety, Guillemot expressed his belief that there will “one more console generation” before the industry completely moves to a streaming-only model. Guillemot added that this technology would become more accessible to more players over time, but with the loss of net neutrality and data caps in place at many internet service providers, the market for a traditional console with physical media is still strong. Cloud gaming will be possible on the PS5, though the exact extent of this remains unknown. The PlayStation Now subscription service makes game streaming possible on legacy Sony consoles, as well, but Sony will be facing stiff competition. Microsoft is planning to begin tests for its Project xCloud service later this year, and Google has unveiled Stadia, a streaming service designed to combine the best elements of game players, developers, and content creators.